After an amazing success in 2018, the Cambridge Festival of Cycling is back for September 2019 and will be even bigger and better. Camcycle, the Cambridge Cycling Campaign, is coordinating this month-long programme of cycling fun and the programme is already filling up. Popular events like the Cargo Carnival and picnic social ride will be back, along with some exciting new activities. Cambridge Independent will join us again as media partners, providing coverage of the festival and cycling issues in their September editions. Event sponsors Outspoken and Power to the Pedal will also be returning to support the Cargo Carnival. If your organisation would like to sponsor the festival or one of our events, please get in touch now. 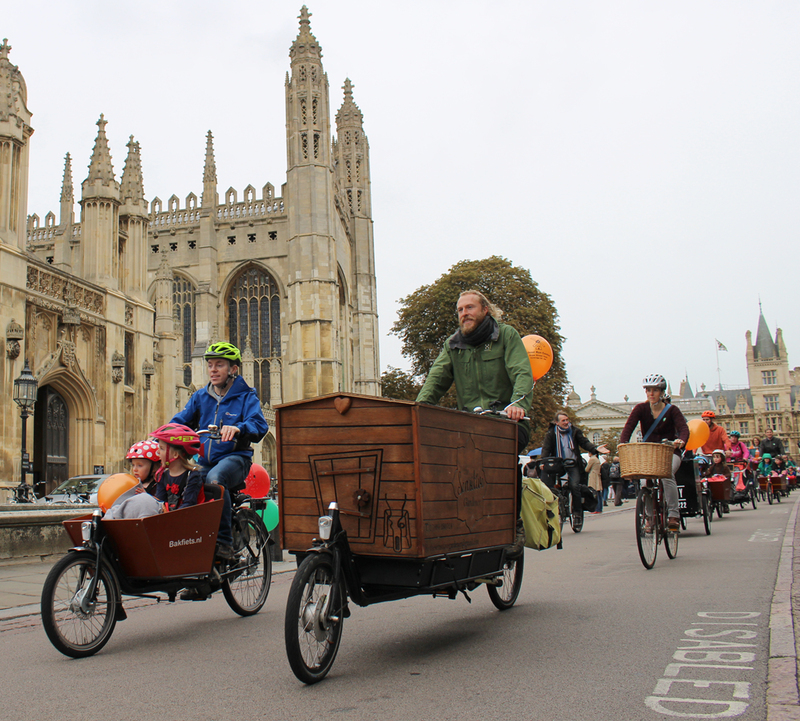 The festival aims to celebrate everything about cycling in Cambridge, from everyday cycling, family cycling, diversity of cycling, sports cycling and cycle touring to the history, science and art of cycling. Community groups and organisations are invited to submit their own cycle-themed events. Previous events have included social cycle rides, cycle try-outs, movie nights, photography exhibitions, and guest speakers. We’re particularly keen to see events that promote and celebrate the diversity of cycling in Cambridge and events which encourage new people to try cycling. There is no charge to include your event in the festival, however, donations to Camcycle are certainly appreciated to help fund the efforts to produce the festival.